In the shop or at your home, Dominion is ready to serve you. We specialize in all shapes and sizes when it comes to auto glass. Although our expertise includes service and care for luxury and classic cars, we are always working on your daily commuter including cars, SUVs and trucks. There are different glass options as well depending on your budget. Most customer look for an OEM replacement windshield, but there are cheaper options. Just ensure your installer is experienced, values their work, and uses quality parts to complete your next auto glass installation. 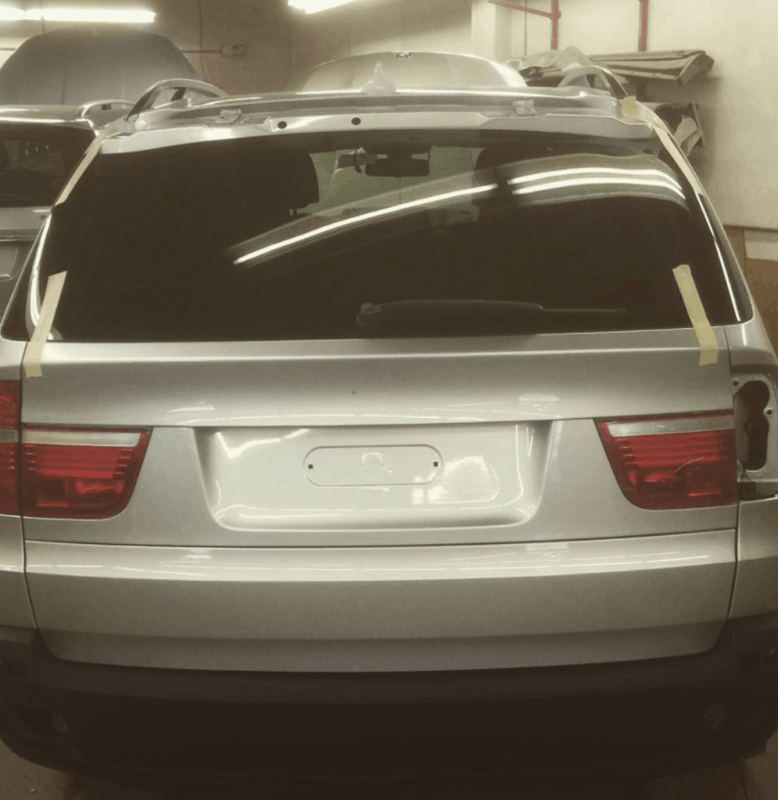 The picture you see if from a recent SUV install we did on the rear windshield. Dominion: We Do Boats Too! Dominion Auto Glass specializes in all shapes and sizes of glass for vehicles AND marine craft. Because of our capabilities to custom make and install glass regardless of standard, we have expertise to replace any glass need you can think of. If you have a boat in need of glass repair, get in touch with the details and we’ll take it from there. Here’s a picture of owner/operator, Kraig, working on location for one of our esteemed clients. We have the capacity to serve all kinds of vehicle and glass requests, and it’s more affordable than you think. Your car doesn’t even have to leave home. Just another way Dominion takes care of our customers!